When it comes down to pinpointing a web hosting plan, the most common choices are to either go with the polar opposites of an inexpensive shared plan or going the distance with your own dedicated server. But what if you want an option for something in between? Then, a virtual private server (VPS) would be a great alternative to look into, which bridges the gap between dedicated and shared hosting both in price and features. By combining virtualization technology with the method of separating a single server into multiple (a la “shared hosting”), virtual private servers were made possible. With that said, since a VPS is “virtually” separate from other servers, it basically functions like a dedicated server with features such as independent resources (RAM and disk space), and has its own operating system and software. However, since a VPS is still technically in a shared environment, you can’t avoid having shared aspects, with one of the few being the central processing unit (CPU). But at the same time, you’re able to get the cost effective benefit of being on a shared server with much more advanced features. Okay, let’s say that you start off on a shared hosting plan, which is sufficient for basic websites or blogs mainly made up of static, HTML-based content and have moderate traffic. But what if your website or blog eventually grows in size, popularity, you add dynamic content, or your business is on the rise (which are usually goals of most website owners)? Well this is a common scenario for small and medium-sized businesses and active bloggers whose websites or blogs require a flexible and scalable hosting solution, but they’re not quite in need of a fully dedicated server nor are ready to make the financial investment toward one. This is where a VPS comes in as a perfect fit. Root/SSH Access – Since you have your own operating system and software on a VPS, you can install, configure and upgrade any server-level software that’s compatible. You can also utilize the command-line access and have the option of operating as the root user. Email Server – You’re given a unique IP address and have access to your own email server that only manages email from your domain, which gives you more control, increased performance and security. Security – Most hosting companies will also give you full control of customizing your firewall and setting up access levels of IP addresses for different services. Scalability – If you’re like most website owners with a goal of constant improvement or growth whether by creating more websites or increasing traffic on your current one, there’s a high chance of outgrowing your hosting plan if you’re using a shared server. Then, you have to deal with the hassle of upgrading and moving. But with a VPS, when you need extra room, you have the option of adding more resources without having to switch machines. Dynamic Website Support – Since you have a high level of control where you can modify your settings and usage patterns with a VPS, you have the ability to have greater support when it comes to handling resource-intensive applications or large, dynamic websites. As with the variety of hosting plans, there is a variety of support that you can get for your account. For a VPS specifically, there are 3 levels of support possible, but the availabilities of each depend on your hosting provider. Burstable RAM is a unique feature offered on a VPS (also depending on your hosting company), which is basically allocated memory that is stored and available when needed. Utilizing burstable RAM can be a lifesaver in times of unanticipated traffic spikes, such as the “Slashdot effect” or the “Digg effect” where your website can get linked to a popular website causing a sudden major increase in your traffic. And if you don’t have enough resources to handle the load, it can decrease the speed of your website or possibly cause it to crash. Not only is VPS hosting an attractive alternative because of its beneficial features, but it also has a nice looking price tag. You get the closest thing to having a fully dedicated server, which can cost hundreds of dollars per month, but at a fraction of its price. And with the demand of VPS hosting on the rise, the prices are getting lower and lower. To VPS, or not to VPS? Evaluate your requirements regarding what type of website(s) you want to get hosted in terms of resource needs, features, support requirements and price. 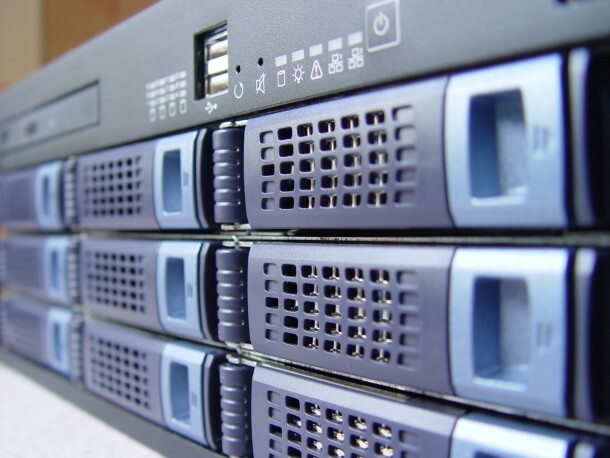 Unless you plan to have a very basic website or have the means to go directly to a dedicated server, keep in mind that there is a middle ground with VPS hosting. Maria from InMotion Hosting (shared hosting review) contributed to this post. Thanks for this – I hadn’t heard of the VPS option before, and I am hoping the site starts getting the sort of traffic soon where I am forced to upgrade the server capacity. Bookmarked. VPS suddenly has turned into a popular option, especially for unlimited hosting refugees, it seems.